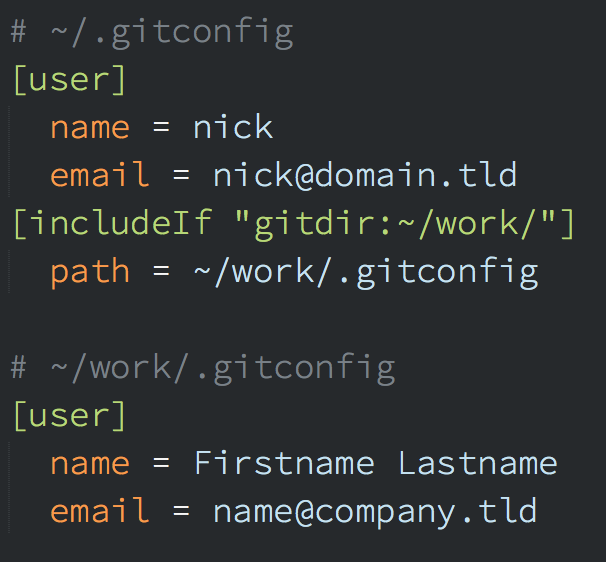 TIL – Using conditional entries in .gitconfig to automatically manage #git identities based on the working directory. Nice! @lx242 @jomo this works for all repositories below ~/work, not just one. @clonejo @jomo Ah, got it. Thanks for the clarification. Might indeed spare some headache.